Keep Kids AWAY from Lawnmowers . . .
are run over by riding mowers or small tractors. More than 400 of those incidents result in the amputation of one of more limbs. Lawn Mowers are the most common cause of major limb loss for children under age 10. Even worse, an average of 15 children actually die each year from these accidents. 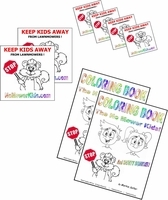 Safety Squirrel and his friends Safety Sam and Safety Sally teach our children to STAY AWAY from lawnmowers using kid-friendly coloring books, stickers, and other interactive supplies which encourage participation to reduce injuries and deaths from mower accidents! 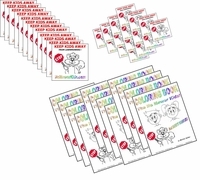 To establish a nation-wide network of in-store posters, stickers, and other items directed specifically at children by utilizing independent dealers throughout the Outdoor Power Equipment industry. To NEVER go near a mower, even when it is not running. 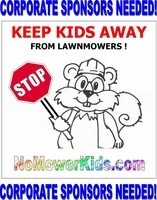 To NEVER ride on a mower, even when an adult says it's ok.
To contact adults who are mowing by staying on the porch or in a window and waiving their arms. 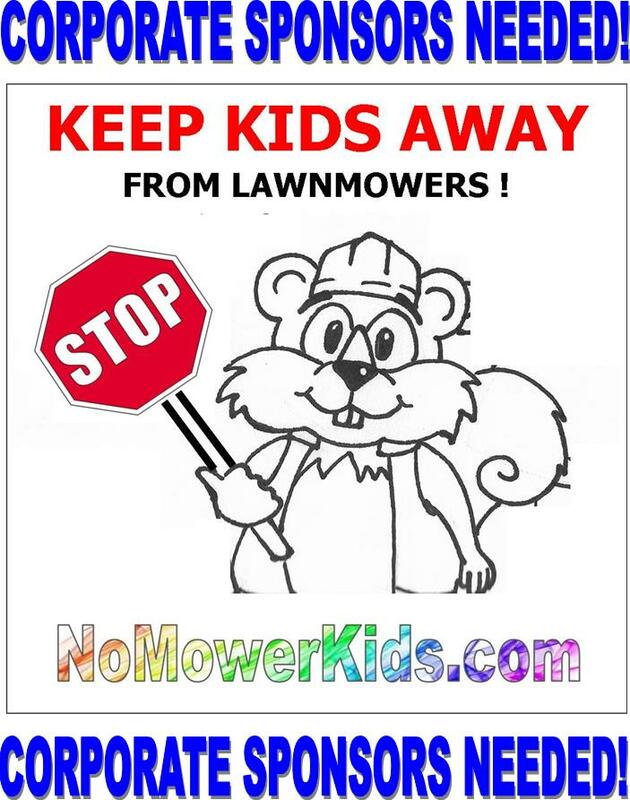 To keep pets and other children inside when a mower is being used. To pickup all toys off the lawn before a mower is to be used.